Current members of ATD chapters may join ATD for a special annual Power Member rate by using your chapter’s Chapter Incentive Program (ChIP) code, CH9206. Chapter members joining ATD will save $30 on membership, and receive Professional membership for $229 and Professional Plus membership for $369. 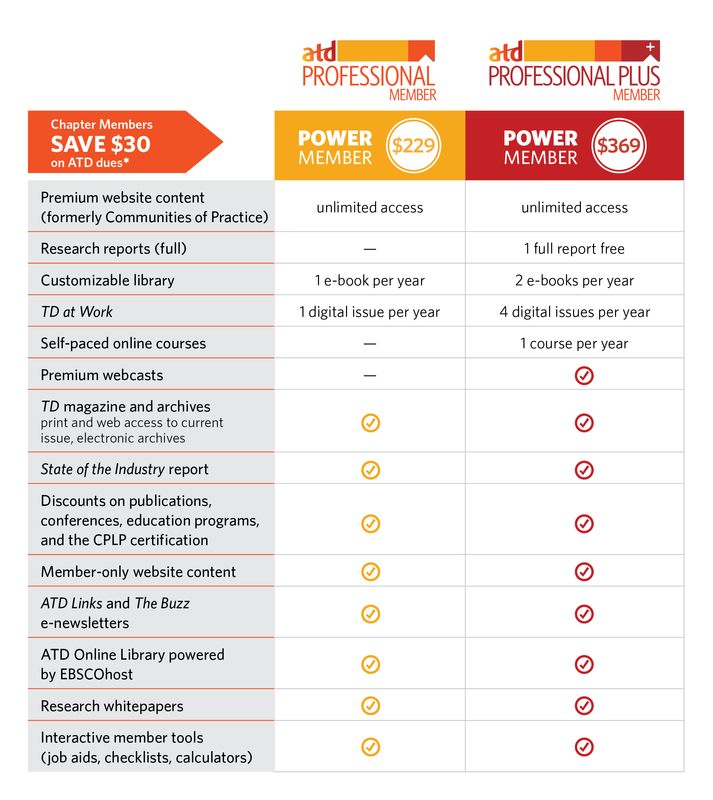 To join ATD and become a Power Member, visit www.td.org/membership and select your preferred membership level. To receive special pricing on your ATD Membership dues, make sure to select your chapter’s ChIP code CH9206 at checkout.